New Delhi: India's annual rate of inflation based on wholesale prices rose to 2.93 per cent in February from 2.74 per cent reported for the corresponding month of 2018, official data showed on Thursday.Even on a sequential basis, the Wholesale Price Index (WPI) data for February, furnished by the Ministry of Commerce and Industry, showed that wholesale prices rose on a faster rate than the rise of 2.76 per cent reported for January 2019. 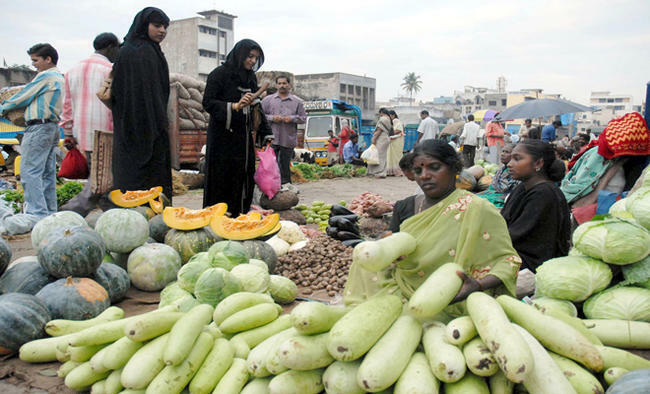 "The annual rate of inflation, based on monthly WPI, stood at 2.93 per cent (provisional) for the month of February, 2019 (over February, 2018) as compared to 2.76 per cent (provisional) for the previous month and 2.74 per cent during the corresponding month of the previous year," the Ministry said in its review of "Index Numbers of Wholesale Price in India" for February. "Build up inflation rate in the financial year so far was 2.75 per cent compared to a build up rate of 2.56 per cent in the corresponding period of the previous year."